As I watch the interplay of these two aspects of organizational culture in my consulting role, I often see imbalance. In over-managed organizations, the top of the iceberg dominates the bottom, squashing it under the weight of formal systems, paper bureaucracies, rigid controls, a-policy-for-everything, parent-child management. By comparison, in over-led organizations, people enact a fantasy wish for an organization in which there is no water-line at all and we try to prosper solely on the basis of effective relationships, intelligence, and entrepreneurial spirit. In this view, systems and processes are discounted in favor of the smartest and best idea — or person — winning out. The first style is without a doubt the federal government. The second may be closer to a start-up going south. Neither of these approaches, in its extreme, is effective. Formal and informal aspects of an organization need each other. Order and opportunism, policy and good judgment, goals and passions, strategic plans and a sense of belonging — head and heart. These things are wound around one another in a complex dance called congruence or alignment. 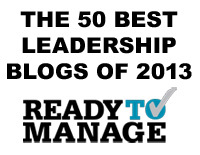 This is why we must honor management as much as leadership. Good managers — people who can organize, distribute resources, and implement — are as invaluable as those who through their own presence can release a common aspiration, inspire people to collaborate and achieve, and foster deep change. We need each other and we need these parts of ourselves. These differences are not a problem, only the failure to talk about them in a meaningful way. This is where drift occurs. It may be after discussion that a system does need to be accepted. There’s a boundary condition for peoples’ behavior and the boundary needs to hold — for the leaders and for everybody. It may also be that that certain systems are the problem and need to change. Failure begins with a lack of real dialogue, which includes mutual exploration, clear decisions, and respect. Without this dialogue, undiscussability and tension begin to take hold, often embedding dynamics of mistrust. We are refined in our abilities to see incongruence in organizations and people, but it’s important to stay humble. I once worked with the head of a big health care organization in the mid-west where there was a very strong, value-based statement prominently displayed throughout the workplace. It articulated the beliefs of the organization about such important matters as customer service, quality, collaboration, and employee development. It was a stated vision, but I wouldn’t say it was a particularly well-lived one. One factor that stood out was how the leader himself used these positively stated values in negative ways. It was said that if he ever told a person, “I’m not sure we agree on our values,” that pretty much meant sayonara — whether for a Board Member or an employee. Sure enough when it came time for the organization to enact a collaborative partnership with another business entity, the effort failed directly and personally on the basis of the values he didn’t see in his counter-part leader. There was a quality of utter righteousness about this decision — and about him. In my mind, his personal incongruence had neatly become organizational incongruence. And so, in my role, I attempted to tell him about this problem in no uncertain terms, and I thought at first he had not heard me. But, later he invited me to his home and instead of continuing the discussion of the partnership agreement, he openned up about his life. Many years before he had been a gunboat captain in Viet Nam, seeing a great deal of action before he returned from his tour of duty to the United States. He felt grateful that he had made it out alive and also felt responsible in a very deep way — so responsible that he did another tour, as one of the black-coated people who knock on the doors of the parents who have just lost a son or daughter. 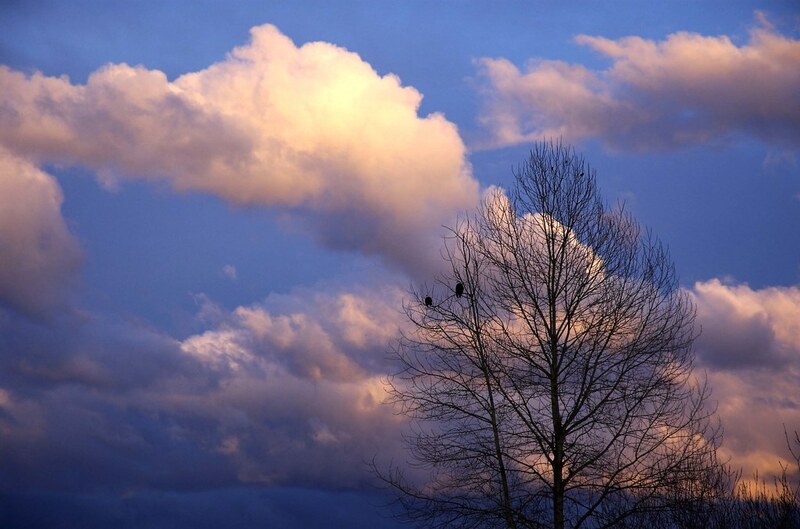 He learned to bring the news of death and to stay with people through the unimaginable moments of their first grief. When I asked him whether others knew of this experience, he replied that telling this story was like offering a peek-hole into his shower. He didn’t relish the thought of others seeing him so naked. To me this shows how deeply we have to understand ourselves before criticizing another’s apparent incongruence. I think this guy knew at some level that his righteousness was in his way but he was stuck at a water-line in himself and in a conflict that would not easily go away. I think if he had told this story to a few more people, stopped trying to keep his own grief so private, others would have known better how to address him, and perhaps his own edges would have softened. I, for one, in the moment, had to examine my own shadows of righteousness. In organizational life, we need both head and heart, just as we do personally. We all have to search out the conflicts between “the way I say I am” and “the way I really am.” And we have to find ways to close the gap — the wound — and also forgive ourselves for the difference. So true, so difficult to do. I have to say that your writing on these topics is acutely accurate in my judgment. I just wish I could better live out the concepts. I try to close the gap every day … some days I do and other not. I suppose part of the equation is walking the path every day. Glad to hear your voice again, Dean, and to share in the sense of the challenge with you. Trying to deal with the “so difficult to do” part alone can be unbearable. We need an ongoing community of people who also share the same desire for themselves and their organization. Without home-base, we end up, I believe, like the guy in my story, leaking shadows rather than sharing light. All the best to you, Dean. Stay in touch. Hi Dan, thanks for this great post. I didn’t know the origin of the iceberg model that we all use with no attribution. I love to blame others. It’s one of things I’ve learned to do so well. I love to speculate what’s below the water line that I can see and make judgments about them. Sometimes, I’m even correct. But I agree with you, Dan, I need to do a better job of asking questions or simply be accepting of others behavior when I can’ know what they are thinking or feeling. Your blog is a great contribution to those of us who are trying to understand and influence organizational behavior. Knowing you as I do, Jay, I would say that you don’t “love to blame others” — that’s flip — so much as you feel great pain when you realize that you have blamed others and you have seen the effects. Like me, you hurt if you believe you have caused hurt. This is exactly what I meant about forgiving ourselves for the gap. It’s a raw place and an inconsolable one without great friends, which we are. The risk, in the absence of love, feedback and support — in the absence of truth and care — is that we find ourselves much worse than we actually are. You have often offered your truth-telling, guidance and reassurance to me and I would hope I could always do the same for you. 2) the conflict one has between “what one thinks about oneself” and “how one actually behaves”. All too often, it seems that the incongruence we accurately see in others has its own related incongruence within ourselves… particularly when we are having strong emotional responses to what we are seeing. When this arises, it is more important to integrate one’s own shadow around the issue before attempting to help others. I believe that often the toughest challenges we must work at in our relationships have to do with our projections onto others. By definition, we don’t know we are doing it…until it is too late. Am I seeing something real out there in another or am I only looking into a mirror that I have disowned? Shadows, reflections, a slippery trail between truth and perception. Believing that we can easily tell the difference — that’s the very spot we stumble…. Thanks Dan : your article has given me a very important insight. That’s why we’ve always failed to reform the failed organization, because we only changed the visible things (the ones show on the surface). Of course, it is not an easy job to touch the hidden factors. Many kind regards in return, Gathot. I’m glad this post was useful to you. And I agree that many times organizations try to change what’s below by changing what is above. It isn’t quite that easy! I have been speaking with Stanley Herman about his original model and paper. While I have a 1971 article by him (I can share this with you if you want), in which he developed on the iceberg model, he no longer has a copy of hi 1970 address, and the diagram you cited. Do you have a copy of the address that you could share with me, or a reference for the person you got the diagram for? We are currently exploring in some depth the ‘iceberg’ metaphor, and how it might be used! 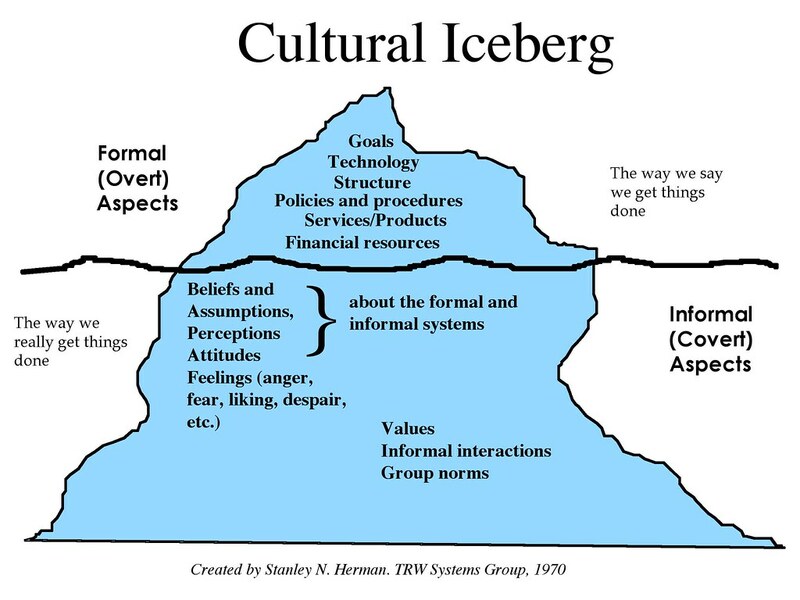 I got the iceberg model from taking an organization development course in the 80’s from Wendell French at the University of Washington. 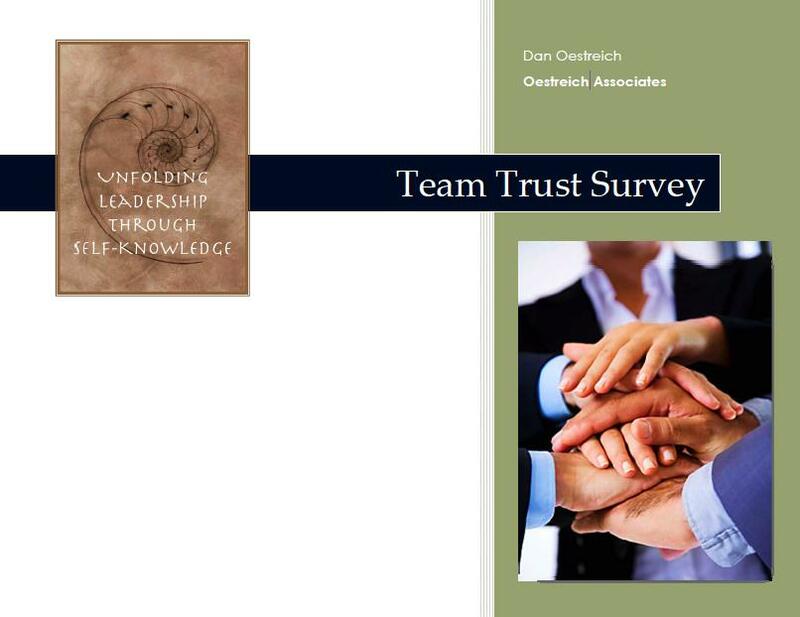 It’s included in the Fourth Edition of the book he wrote with Cecil Bell, Organization Development: Behavioral Science Interventions for Organizational Improvement (page 19). The citation on the model is the 1970 address by Stanley Herman — which unfortunately I do not have. I have used this model hundreds of times over the course of my career to illustrate the nature of organizational culture and application to the dynamics of “undiscussability” articulated by Chris Argyris. I’d be very interested in the paper you mentioned, Richard — it’s been a mainstay of my work for a very long time. 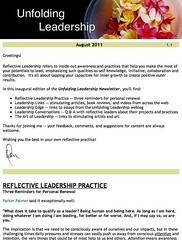 You can reach me on email: dan at unfoldingleadership dot com.